ProWhip Cream Whippers aren’t just for cream! Find out how to infuse vodka below! I think I have discovered something that will revolutionise the way I cook – and hopefully the way you cook too! I naively thought that cream whippers were for just one thing, whipping cream. I couldn’t have been more wrong. Cream whippers like ProWhip can actually be used in lots of different ways, including making fancy foams as well as mousses, quickly marinading meat and infusing alcohol. I’ve not been brave enough to marinade meat with my ProWhip just yet but I have come up with an amazing cocktail recipe with two of the other techniques. 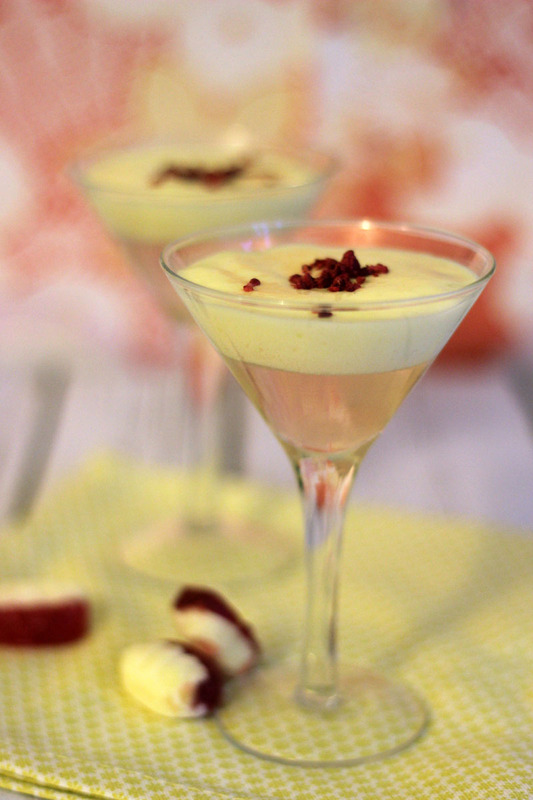 This is my recipe for Rhubarb and Custard Cocktails. How do cream whippers work? Whichever technique you use, cream whippers work in one way. When you screw the nitrous oxide charger on to the whipper, this fills up the whipping chamber. The gas then penetrates whatever you have put inside the whipping chamber, be that meat, alcohol or cream. Take whipped cream as an example. When you make this by hand you beat it until fine air bubbles get into the cream. This trapped air then makes it hold its shape and you have whipped cream. The cream whipper does this in a similar way but much quicker. When the gas enters the whipping chamber, the gas bubbles are forced into the cream much more quickly than you ever could by hand. Giving the cream whipper a good shake helps those bubbles evenly distribute throughout the cream. This is the technique I used to create the whipped custard (or custard foam) which tops my Rhubarb and Custard Cocktail. The way the cream whipper infuses alcohol (and similarly marinades meat) is just as simple. Essentially, when the gas floods the whipping chamber, the pressure forces the alcohol into the cell walls of whatever it is you are using to flavour the alcohol. When the bottle is de-pressurised, the alcohol then floods back out again, and it carries flavour with it! Hey presto, in just a few seconds you have rapidly infused alcohol. Using these clever principles, I’ve come up with a fun and fruit cocktail using the classic flavour combination of rhubarb and custard. The base of the cocktail is a rhubarb infused vodka with a splash of kirsch. This is then topped with with a light vanilla custard foam. If you want to see what all the fuss is about then just follow this simple recipe below. 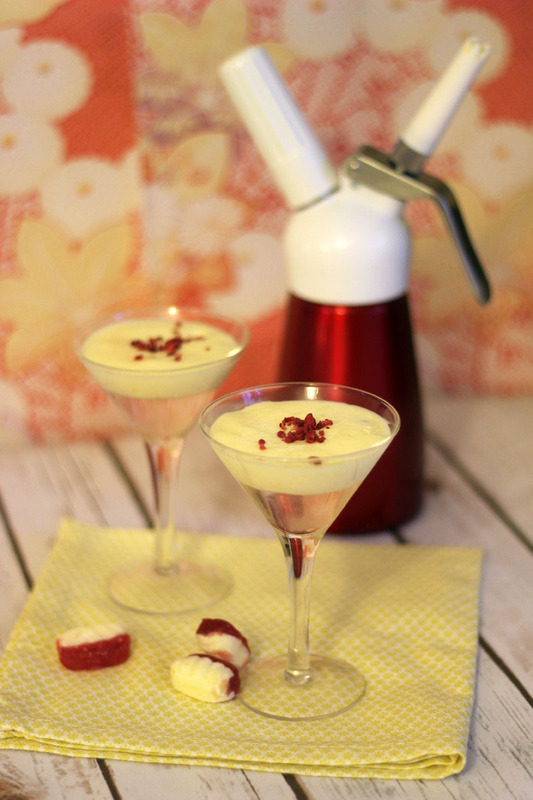 Cream whippers are ideal for adding foams and froths to cocktails, just like this Rhubarb and Custard Cocktail! Begin by whisking together the egg yolk and the caster sugar until pale, thick and creamy. Next, heat the milk and cream together in a heavy bottomed saucepan. When the milk and cream mixture reaches boiling point, add a splash to the egg mixture and whisk. Slowly add the remaining milk and cream mixture to the eggs whisking continuously. Transfer the mix back to the saucepan and cook on a moderate heat until it is thick enough to coat the back of a spoon. Leave this to cool before making the remaining components of the cocktail. Next, add the vodka, kirsch and rhubarb to the whipping chamber of the cream whipper. Charge the whipper with two nitrous oxide canisters and leave to sit for 60 seconds. Keeping the cream whipper upright, release the gas. Rinse your cream whipper before adding the custard to the whipping chamber. Again, charge with two nitrous oxide canisters and shake for 60 seconds. Turn the cream whipper upside down and, gently pressing the trigger, dispense the whipped custard on to the top of the rhubarb vodka creating a second layer to the cocktail. Top the cocktails with pink sugar or sprinkles and enjoy! So what do you think? Have I convinced you that cream whippers are actually pretty handy gadgets to have in the kitchen? I definitely think I will be using mine more when it comes to fancy foams and mousses when I host dinner parties. It’s a good skill to have in your cooking repertoire and cream whippers are pretty damn cheap! If you have any questions about how to use or clean the cream whipper, or for more information about the recipe please do let me know! I’d love to hear your thoughts in the comments below. *Disclosure, in case you were wondering…I received the ProWhip seen in photos here for free. 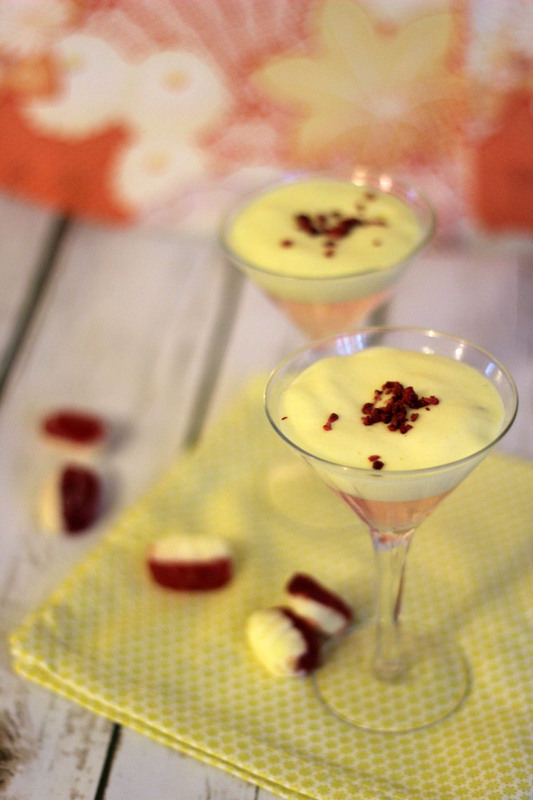 I was not under any obligation to write about the cream whipper but I have found it so much fun to use that I wanted to share this Rhubarb and Custard Cocktail with you. Cheers! I don’t have that in my kitchen yet. It looks like a smart gadget to have though. I’ve not had it for long but there are so many easy recipes you can make with it. A tasty lemon or choclate mousse is seconds away with a cream whipper! This does sound rather lovely – and a great kitchen tool too! This is genius! I would never have thought to use a cream whipper like this! The cocktail sounds delicious too. Have pinned! 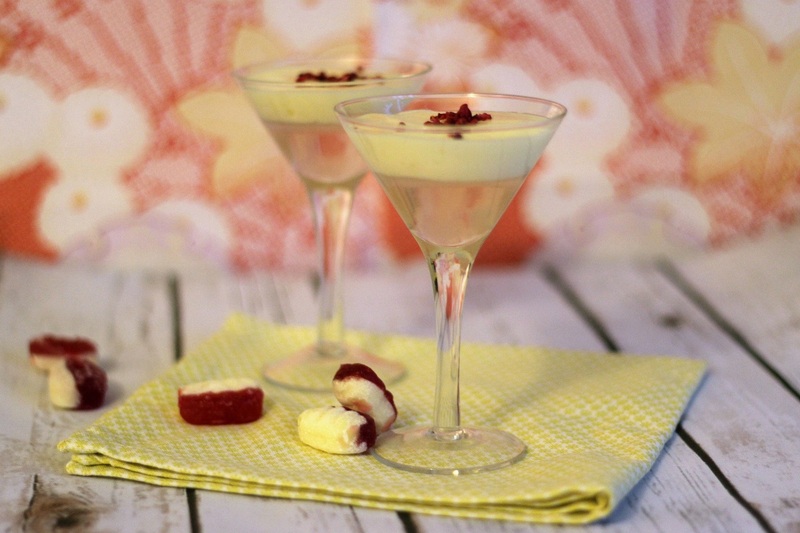 I love the idea of that cream whipper – and rhubarb and custard cocktails are right up my street!